It’s easy to take for granted the places we see every day. Sometimes, we need a fresh look to appreciate all that Springfield has to offer. In her recent book, 100 Things to Do in Springfield, IL Before You Die, Springfield author Penny Zimmerman-Wills offers a bucket list that will likely challenge even longtime Springfield residents. The book is one of several from St. Louis-based Reedy Press curating activities in cities around the U.S. Zimmerman-Wills’ version for Springfield highlights dozens of businesses in and around the capital city, with background, contact information and personal recommendations. It’s easy to read all at once or flip through as needed. Think of it like a tour guide for locals and tourists alike. The book is divided into sections for food and drink, music and entertainment, sports and recreation, culture and history, shopping and fashion, and Lincoln-specific attractions. Zimmerman-Wills says once she began collecting activities for the book, it was difficult to narrow the list down to only 100. Some entries have useful tips that recommend other bonus experiences. “There really are more than 100 things to do in Springfield, believe it or not,” Zimmerman-Wills said with a laugh. Many local favorites make the cut: soup at the Feed Store, Vose’s Korndogs at the state fair, digging through vinyl at Recycled Records and many more. There are also some better-kept secrets in the bunch, like Patricia Doyle Associates Auction Gallery, which holds Friday-night auctions of eclectic wares – from antique furniture and paintings to baseball cards and tools. Downtown Springfield gets a fair amount of attention in the book, with the Lincoln sites, Sixth Street shops and several restaurants taking their rightful places on this must-experience list. However, there are also plenty of entries from the rest of the city and beyond, including horse riding at Riverside Stables, picking blueberries at Jefferies Orchard and exploring Lincoln’s New Salem by candlelight. 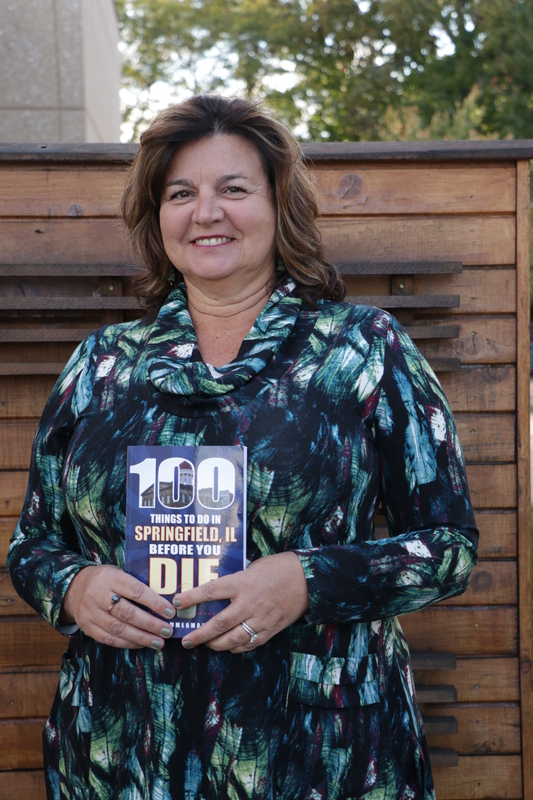 Zimmerman-Wills says she hopes the book helps people experience Springfield in a new way. 100 Things to Do in Springfield, IL Before You Die, Reedy Press, St. Louis. 2016. 144 pages.